Put two WWE Superstars together and recreate tag team matches or WrestleMania rivalries! This dynamic, no-holds barred personality pack celebrates key WWE WrestleMania pairs. 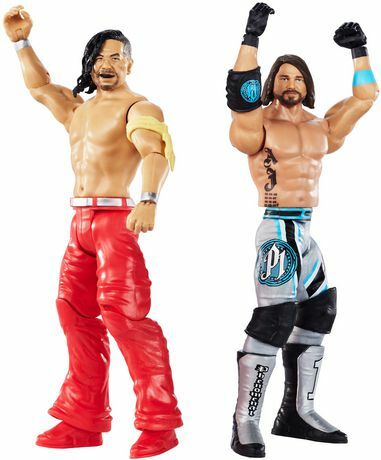 With True FX enhanced facial detailing for life-like authenticity and WrestleMania ring gear, you can recreate realistic, big event matches with these approximately 6-inch figures. Get the entire collection and host your own high thrills WWE WrestleMania action battles right out of the pack! Colors and decorations may vary. 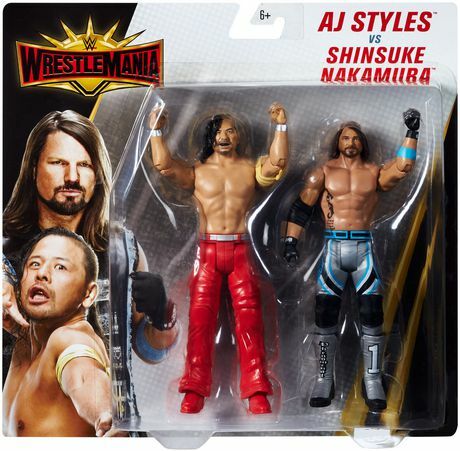 • ​Recreate tag team matches or WrestleMania rivalries with this WWE WrestleMania Battle Pack! • ​True FX facial detailing makes the figures come alive! • Host your own high thrills WWE WrestleMania action battles right out of the pack!